If you are the owner of an office and looking for office chairs for your employees, you need to do some research on the types of chairs available in the market before taking the plunge. There are chairs made from different materials and there are also differently shaped chairs. One particular type of office chairs that have become extremely popular among office owners are ergonomic chairs. These chairs have adjustable backs to prevent stress injury and back pain that is common among office workers who have to sit and work for long hours. These chairs also have adjustable armrests and seats to allow the individual to sit as comfortably and conveniently as he wants to sit upon them. Ergonomic chairs have backs that can recline to virtually any angle that you want to provide support to your back while sitting and working for long hours. Another important feature of these chairs is their adjustable height. Standard fixed chairs have fixed height that may not be comfortable for all people as these people have different heights and builds. But ergonomic chairs are such that any individual who sits upon them feels equally comfortable. This is because these chairs allow every individual to adjust the height of the seat according to his own height. For total comfort, it is necessary for an individual to have the height of the chair adjusted so that his legs are placed flat on the floor rather than dangling in air. This reduces the pain in the legs that is so common among workers that sit on fixed height chairs. Reclining ability of ergonomic chairs have a glide mechanism at the back so as to allow the individual to press back and slide this it to sit in a reclining position whenever he is feeling stress in his back working on computer or the files. This means that you can give your spine a well deserved rest in a reclining position as if you are sitting on your dad’s reclining chair and taking a nap in the afternoon. You need not leave your work to get rest in this fashion as you can still reach the keyboard to continue to do work on your computer. This reclining back ensures that there is no pressure on your back when you sit and work for long hours at stretch. Many people make the mistake of thinking that it is relaxing to sit. Of course one feels that he is taking rest by sitting but sitting in the same position for long hours as is the case while working in an office can cause your spine to suffer from a lot of stress. This happens because all your weight gets transferred on to your thighs and buttocks and your spine has to face the brunt for a long time. This is where the special design of an ergonomic office chair comes handy. You can not only sit in a comfortable reclining position but also avoid building up of stress in your spine. If you have many employees working in your office on computers all day long, you would do well to arrange ergonomic chairs for all of them. Ergonomic chairs promote good posture and help in avoiding compounding back problems. Of course these chairs are expensive and you have to spend much more to arrange ergonomic chairs for all your employees in the office but then you also get many benefits from these chairs. You not only help your employees to maintain a good posture and have more comfort while working on computers all day long, you also help them avoid back problems. More comfort and convenience means that your employees are more efficient and more productive. Thus you are actually investing in your own company when you buy ergonomic office chairs for your employees. If you take a look at all the things that you use, including your personal gadgets, you will hardly find a thing older than 3-4 years in your possession. Then using old chairs in your office is not good for even the PR of your office, let alone the health of the employees. Technology has come of age in all spheres of life, and ergonomics has meant that you need not put undue pressure on your legs or back just because you have to put up at your office for long time periods. In fact, if you compare, you will find that you clock more hours sitting on the chair in your office than even the mattresses on which you sleep at night. If you still continue to sit in an ill fitting chair, you are certainly inviting backaches, headaches, and all sorts of other discomforts for your body. This is not to make a mention of all the loss in terms of reduced productivity. There are many people who think that sitting straight is the right way to sit on office chairs for long time and so they arrange chairs with hard backs for themselves. This is ostensibly to keep their backs straight all the time while they are working in office. But in this process, they actually forget that their spine is not straight but curved. By trying to sit straight, they actually put more pressure on their lumbar region. But when you sit on ergonomic chairs, you actually reduce discomfort and fatigue. There is an increased blood flow in the body and very little chances of suffering from stress related injuries. Backaches and headaches gradually reduce finally they are gone out of your office and the efficiency of the employees goes up. The quality of work and the productivity of the employees increase with the use of ergonomic office chairs. 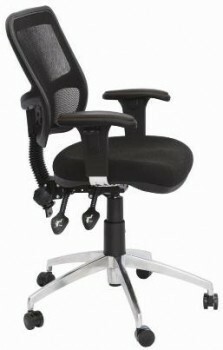 Internet can be a good starting point to have a look at all the latest designs and styles of ergonomic office chairs. 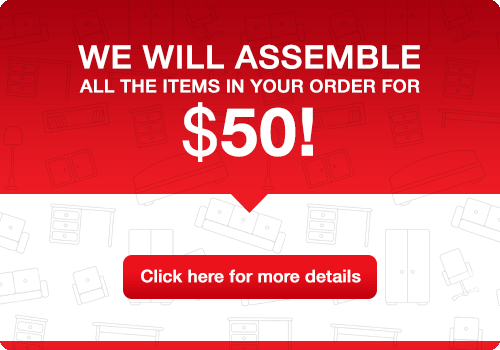 You can browse at all the chairs on different websites sitting in the comfort of your own home and also compare their prices to narrow down your choices depending upon your requirements and the budget.